Any visitors on the 10th will be able to come along to our talk, ‘From Paper to Screen’, with Sam Arthur of Nobrow at 2:30pm. We’re going to be telling the story of our companies, and how Minilab grew from Nobrow and Flying Eye Books. 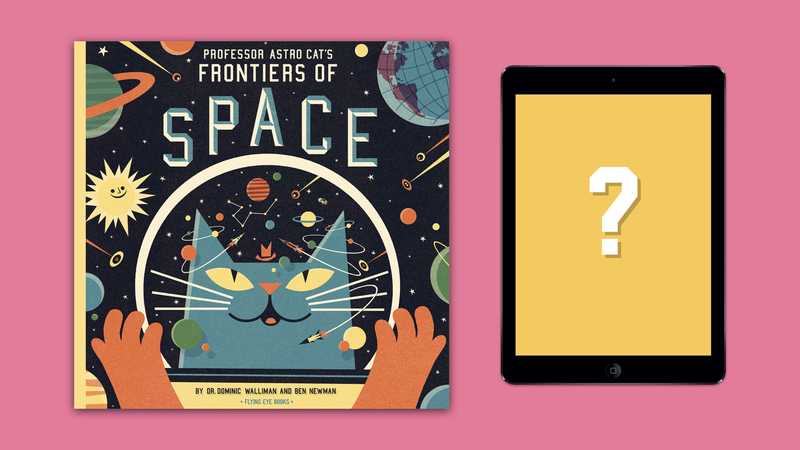 You’ll get some insights into the thought process behind turning the popular book, ‘Professor Astro Cat’s Frontiers of Space’, into an interactive experience – the seed that would grow into our company as it is today. We’ll break down some of the obvious and not-so-obvious differences between analogue and digital products for children, and how they can intersect. And of course, we’ll be discussing how the different types of media can work for teachers as part of the curriculum. How do apps and books benefit young learners? Are there any issues switching between these different styles of learning? We’re keen to hear your insights too – so if you’re interested in sharing how you work with books and apps in the classroom, it would be great to see you there. 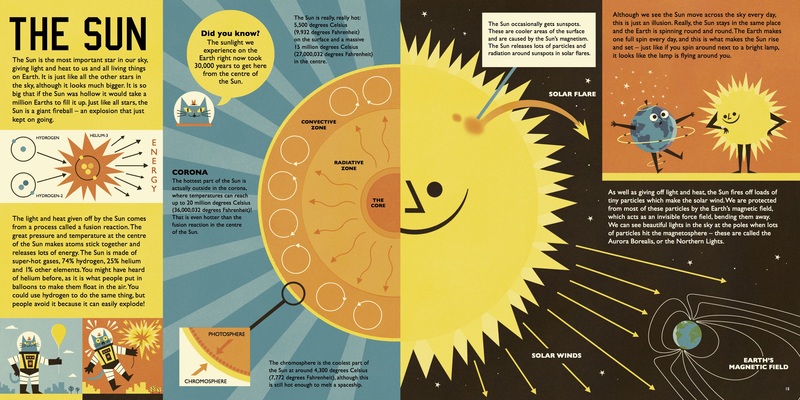 A double page spread from ‘Professor Astro Cat’s Frontiers of Space’, by Dr Dominic Walliman and Ben Newman. Come along to our talk to find out how these pages were adapted for the interactive app experience! Pop Up Lab will see educators from all over attending talks and workshops to invigorate teaching strategies and discussion. We’re looking forward to meeting ‘teachers, authors, publishers, literature producers, and children’s literature organisations from 10 countries’. To find out more and buy tickets, click here.